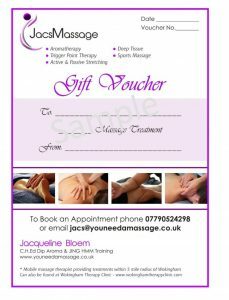 Massage Gift Vouchers available for any occasion or for any reason. 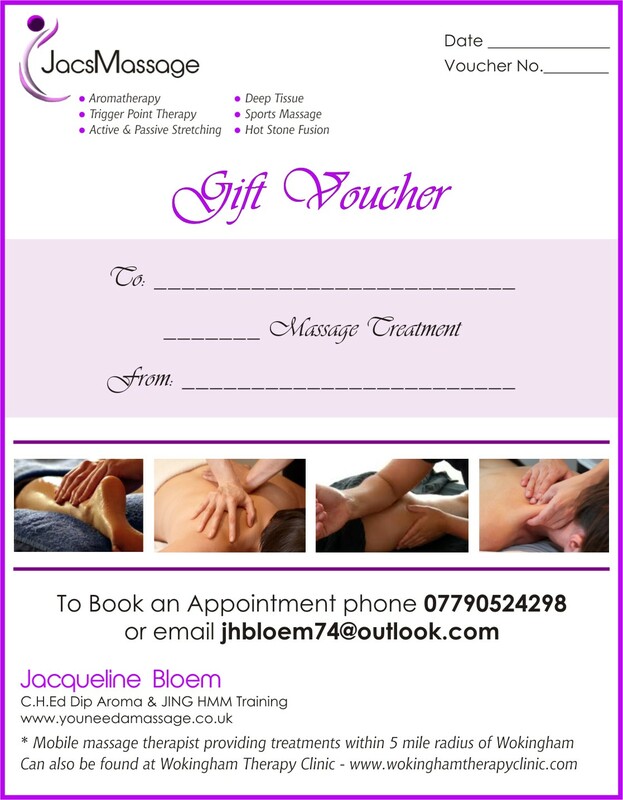 Each treatment will be unique and suited to the individuals needs - whether it be for an injury / tense muscles needing some loosening up / health challenges or issues / tight shoulders and neck / or just to RELAX, RESTORE, REFRESH, REVIVE, RENEW and REJUVENIATE!! 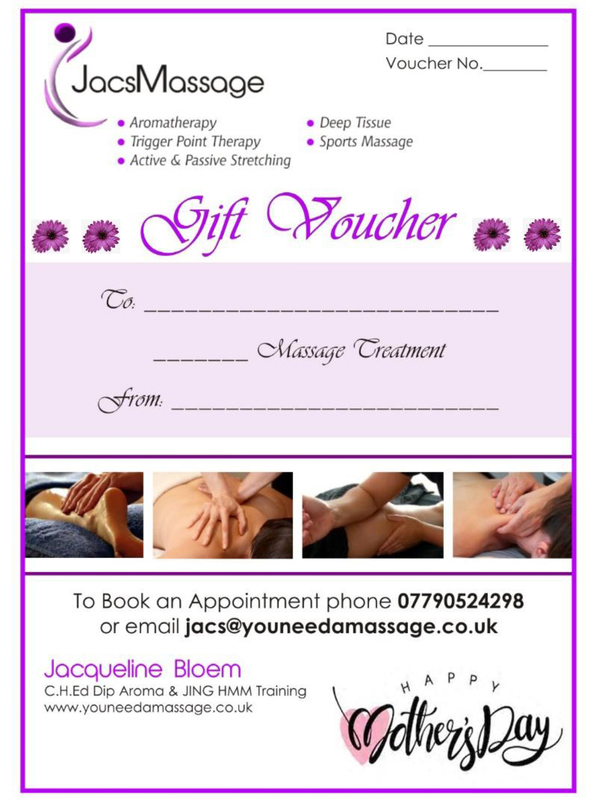 Mothers Day Vouchers are now available! GREAT Stretches while at your desk!